It seems that my mind is full of concerns this week. 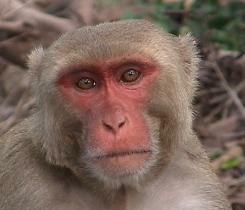 In my world, they are called red-faced monkeys. My pastor provided this great illustration of the wonder of our brains. Think about a red-faced monkey, what it sounds like, what it might throw, what it is doing. The monkey takes up your thoughts even when you dont’ want to think about red-faced monkeys. Now think about the Statue of Liberty. Her color, what she is wearing on her head, what she has in her hand. Immediately you realize that the Statue of Liberty is front and center in your brain as there is no room for the red-faced monkey to take up your thoughts. It doesn’t have to be complicated or formulated. I’ve learned (and am always relearning!) that I can replace the red-monkeys in my thoughts with other things that are worthy. And in my simple requests without big words and even when I don’t know how to word things right, He hears me and answers. Don’t you love that about God? Have you ever gotten a haircut (one that you requested) and then got home to stare at the mirror and hate it? Bad hair day? I fear this will be a bad hair month. Thankfully, hair grows! Until then, I’ll find a hat. Yes, I know. Not in context but somehow it fits me anyway.